Versatile Young Performer With Polished Baritone Voice - Alpha Artists Management, LLC. Praised for his “polished baritone and acting skills” and “sterling musical and physical work," baritone Steven Eddy is a versatile young performer with a broad repertoire spanning opera, oratorio, and art song. Recent and upcoming: a debuted with the American Symphony Orchestra in Strauss's Friedenstag in Carnegie Hall; a role debut as Charlie in Three Decembers with Opera Birmingham; concert tours with the Grammy-nominated choral ensemble Seraphic Fire; recital performances with the Brooklyn Art Song Society; and, a return to Carnegie Hall as soloist in Haydn's Mass in Time of War/"Paukenmesse" with Manhattan Concert Productions. Other recent performances include: Bach Vespers at Holy Trinity, a role debut as Raimbaud in Rossini’s Le comte Ory with LoftOpera​; recitals with Brooklyn Art Song Society and tours with Seraphic Fire. He sings the Rachmaninoff Vespers this season in New York; is reëngaged with Manhattan Concert Productions in Mozart's Coronation Mass; makes his Philharmonia Baroque Orchestra debut as guest soloist in works by Monteverdi, Bach and Purcell; and, continues concertizing with the Brooklyn Art Song Society and Seraphic Fire. As former member of the Fort Worth Opera Studio, he returned to the Fort Worth Opera Festival in critically acclaimed performances as Ponchel in Silent Night one-year after his professional operatic début with the company as Harlekin in Ariadne auf Naxos. Other roles in his repertoire include Dandini (La Cenerentola), Sid (Albert Herring), Dancaïre (Carmen), Figaro (The Barber of Seville), Aeneas (Dido & Aeneas) Schaunard (La bohème), Nick Shadow (The Rake’s Progress), Ford (Falstaff), John Brooke (Little Women), Belcore (L’elisir d’amore), Guglielmo (Così fan tutte) and Dr. Pangloss/Voltaire (Candide). He has had engagements with such notable companies and festivals as Fort Worth Opera, Opera Saratoga, Aspen Opera Theater Center, Tanglewood Music Center, Center for Contemporary Opera, and Arbor Opera Theater. 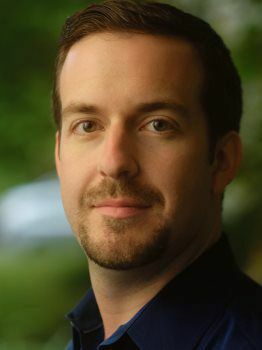 An avid concert performer and Baroque music specialist, Mr. Eddy has appeared with Seraphic Fire, American Classical Orchestra, Handel Choir of Baltimore, New York Virtuoso Singers, Bach Vespers at Holy Trinity, The Choralis Foundation, Columbia Pro Cantare, Ensemble VIII, Saginaw Choral Society and Kalamazoo Bach Festival. His wide range of oratorio and concert works include Handel’s Messiah, Bach’s Mass in B Minor, St. Matthew Passion and many cantatas, Monteverdi’s Vespro della Beata Vergine, Mozart’s Mass in C minor, Orff’s Carmina Burana, the Requiems of Mozart, Fauré and Duruflé, and Mahler’s Lieder eines fahrenden Gesellen. Mr. Eddy has also received great praise as an interpreter of works in the art song repertory. He made his New York recital début as a winner of the Joy in Singing Debut Artist Award. As a Marc & Eva Stern Fellow with SongFest at Colburn, he had the opportunity to collaborate on recitals and Masterclasses with such luminaries as Graham Johnson, Rudolf Piernay, Jake Heggie, John Musto and Sanford Sylvan. Prior to this, he was a Vocal Arts Fellow of the Tanglewood Music Center where he performed and collaborated with Stephanie Blythe, Alan Smith, and Håkan Hagegård. During his studies at the University of Michigan, he worked closely with celebrated collaborative pianist Martin Katz on a wide variety of art song and opera projects. In addition, Mr. Eddy received prizes from the Metropolitan Opera National Council Auditions, the Oratorio Society of New York's Lyndon Woodside Competition, Joy in Singing’s Positively Poulenc! Competition, the Howard County Arts Council Rising Star, and the University of Michigan Friends of Opera competitions. He was also the recipient of the Earl V. Moore Award in Music from the University of Michigan and has been a finalist in the Dallas Opera Guild and Connecticut Opera Guild competitions. ​Mr. Eddy completed his Specialist of Music in Voice degree at the University of Michigan School of Music, Theatre and Dance, where he studied with Stephen Lusmann. He received his Bachelor of Music Education and Master of Music degrees from the Indiana University Jacobs School of Music, where he studied under the tutelage of Dr. Robert Harrison. As Charlie, baritone Steven Eddy convincingly imparts his love for Burt, his partner who is dying of AIDS, and his disdain for his mother, who mistakenly calls his partner Curt. Equal parts anger and anguish, Eddy’s multidimensional portrayal was given further depth with his impassioned singing. "... the coffee-brewing French soldier Ponchel, winningly portrayed by Steven Eddy, provides welcome humanity, even humor, and a particularly tragic death." "...Steven Eddy (the spiritedly French soldier Ponchel) endowed [his character] with full humanity and vocal power."